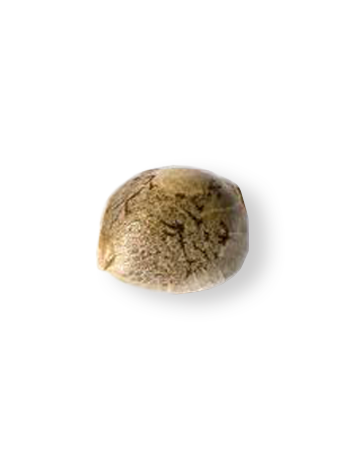 A combination of classic Hindu Kush and Purple Afghani, Purple Kush is a much sought-after cannabis seed strain, and its beautiful appearance, sweet and earthy scent and fruity flavor only serve to further enhance the medical benefits. Purchased 96 times this week. 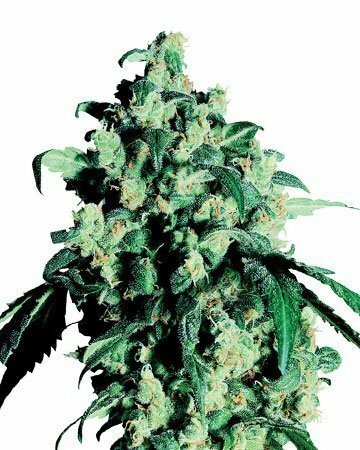 An indica dream, Purple Kush feminized cannabis seeds deliver a long-lasting, deeply calming sensation that will leave you relaxed, happy, and euphoric for hours. 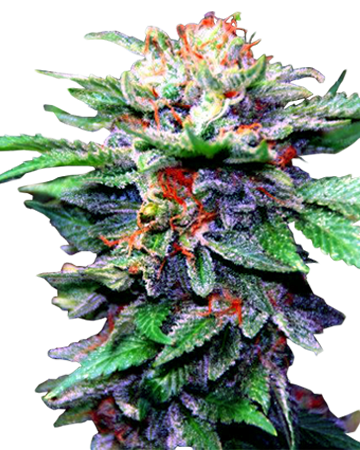 Purple Kush cannabis will leave you almost instantly relaxed, in both body and mind. Don’t plan to do any mentally strenuous tasks after your dose of this strain, as it will most likely leave your brain in a bit of a cheerful fog. Given its tendency toward sedation, this isn’t likely to be a deterrent. With the deep relaxation comes the melting away of anxiety and stress, as well as full-body pain relief. Whether you’re struggling with chronic pain from an injury or medical condition, or just trying to soothe away the aches of an intense workout, you’re sure to feel improvement with Purple Kush. 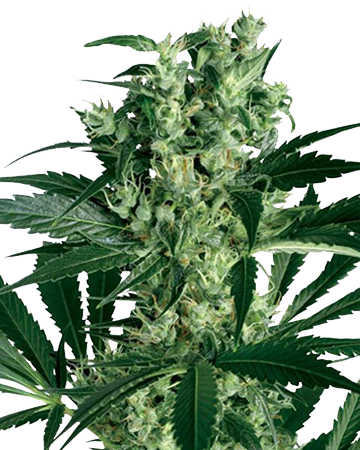 Purple Kush cannabis seeds might not be ideal for brand new gardeners, but nor are the plants overly difficult to successful cultivate. 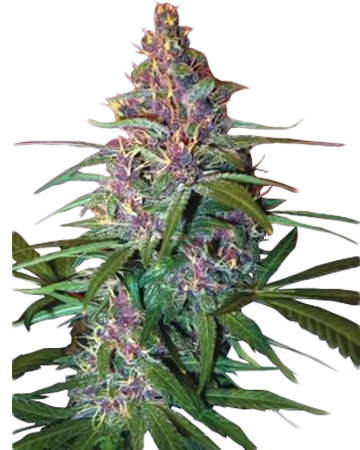 Relatively short in stature, Purple Kush grows best indoors where you can easily control temperature and humidity, and the strain’s short height – it rarely reaches above three feet – also makes it ideal for small interior spaces. 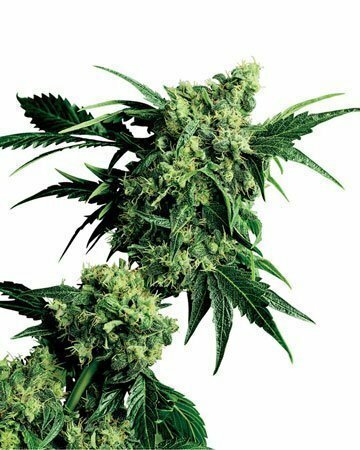 The flowering stage usually lasts seven to nine weeks, and at harvest time you can expect a moderate yield of about 300-400 grams of flower per square meter. 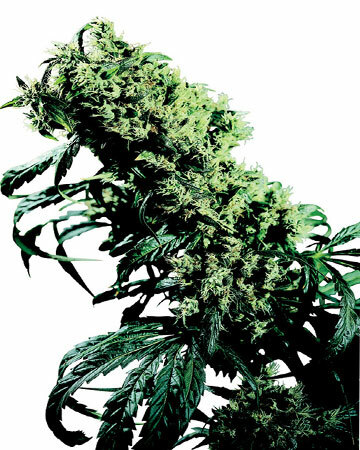 If you’re lucky enough to live in the perfect outdoor climate, you should see about 250 grams per plant. Choose relaxing, soothing Purple Kush to help combat insomnia and anxiety; some patients may also find it useful for symptoms of depression. Muscle spasms are smoothed away as ease and sleep begin to take hold. 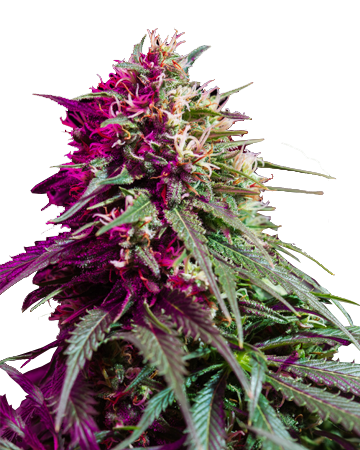 At Growers Choice, we guarantee the genetics of all our strains, so you know that the Purple Kush cannabis seeds you buy will flourish into healing, natural Purple Kush plants. It’s easy to order your seeds right on our website, and we always promise complete privacy for both your information and your delivery. 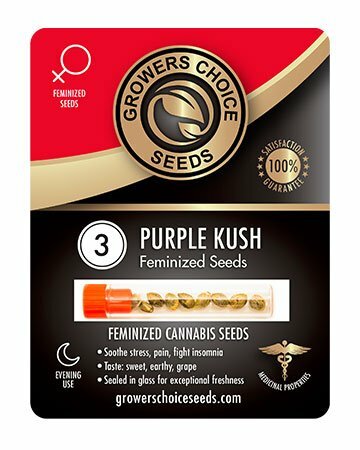 Take advantage of our 90% germination guarantee, and find out why customers love Growers Choice – place your order of Purple Kush cannabis seeds, today! I have suffered from insomnia for many years and desperately needed to find something to help me with my symptoms. Happy I turned to the Purple Kush, a 100% indica strain that has been instrumental in me overcoming my anxiety-based sleep problems. I have a small grow space in my basement for other herbs and veggies, and adding PK to the mix was an excellent choice. 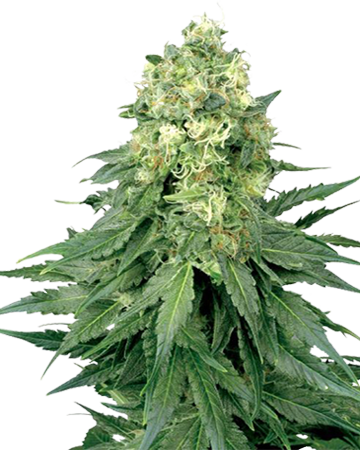 A stellar indoor grow, short in stature and very receptive to a controlled environment. Got around 80% germination to start, so 4 of 5 seeds, and all 4 plants grew quite well and produced beautiful purple nugs. I smoke in the evening before bedtime, and find that I usually only am awake for 30 minutes or so before I pass out and sleep deeply throughout the night. Excellent service and delivery. All seeds germinated. Being a new grower I lacked the skills to grow outdoors directly in the ground. Plants were very late and yields were not high as expected. I will try a faster plant this coming year and put forth everything I learned . Thanks for the great service! Yessss! I’ve been looking for a pure indica strain for such a long time, you have no idea. I’ve always had trouble falling asleep, even in my childhood. My thoughts keep me up at night so I can’t smoke any marijuana that has even the tiniest amount of sativa in it. I need the pure indica to stay asleep and not be restless in bed. My constant kicking and moving around drives my boyfriend crazy, but I can’t help it. It’s like a reflex. That is, until I tried Purple Kush. A couple of my friends smoke it as well and swear by it, so why not try it? I love the flavour of this pot. It’s got that iconic kush taste and also looks incredible with the purple buds. This stuff gives me major munchies though, which I don’t really mind. I never found the quality I was looking for in local stores, so I was reallly happy to see all these amazing reviews online. How could I not buy? I never tried growing feminized cannabis seeds before, but they’re great. I will definitely be growing another few plants when I run out of my current harvest. My first seed order went AWOL, that was a disappointment. But customer service sorted me out and I eventually got my strains. I added Purple Kush to the next order, which was a smart choice. I’m not new to growing pot, but I had a little trouble getting these ones off the ground, so to speak. Not with germination, that was fine, but for whatever reason it took mine a little bit longer to hit flowering, and they weren’t as fat as I would have preferred. Not sure if that’s genetics or mt set up. Anyway, it’s nice a sweet, fruity, which I like, and it’s popular with my friends. Despite that first hiccup with my order, I’m going to keep ordering from GC. They’re faster than the other guys. Not a plant you’ll get a super high yield from, but you still get quite a bit. I’ve grown purple kush from other companies before and this is the best grow I’ve had. 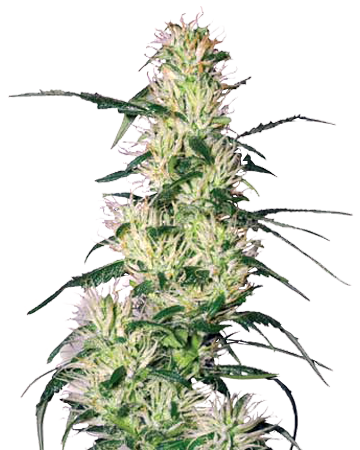 Feminized cannabis seeds are really as great as they say. If you’re worried about delivery, don’t be. Fast shipping for online ordering. Plus, the smell is incredible. Excellent service, excellent delivery, 3 or 3 sprouted in 3 days. Will definitely order again. I’ve been a yoga instructor for over 15 years now, and I find that I’ve been super achy lately. I’ve also started to get muscle spasms. I do teach more now than when I was younger, so that probably doesn’t help. 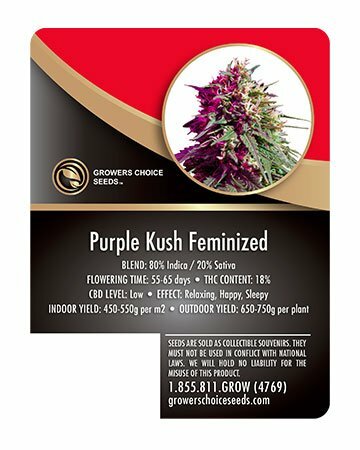 Since ordering these feminized cannabis seeds online, I’ve noticed a significant difference. Growing them was exactly as described, and way easier than I thought. I actually use some before I do my own personal practice with no students, and I feel great. Way more relaxed, no more pain. Possibly the best yoga sessions I’ve had in my life. I have endometriosis, and use this along with CBD blueberry to combat the pain. Traditional therapy only goes so far, so pain relief is definitely needed. I loved how much less work feminized cannabis seeds are. Easy to grow, especially for me being in pain all the time, and no surprises. I only grew 2 out of 5 seeds, both have sprouted. i’ve grown these before indoors and always turn out great. Plus, these strains are my favorite weed strains. They’re effective and taste/smell pretty good. I’m a fitness trainer, so relaxing is hard for me because i’m always super sore. I’m not a huge fan of growing, but I love this strain and buying feminized cannabis seeds makes it a lot easier overall. I used to have really painful muscle spasms in my back, but not since making a pot coconut oil that I add to my smoothies. You will not regret buying online from this company. 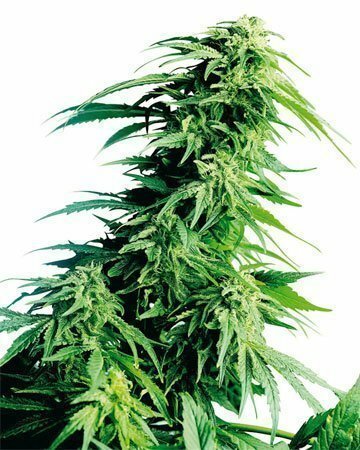 don’t order cannabis seeds from anywhere else! Seriously! These feminized cannabis seeds are the best purchase I have made. I have an AMAZING sleep every single night ever since I made my first harvest. It’s pretty strong, so if you’ve never tried it before just be careful. Extremely satisfied with my weed plants.